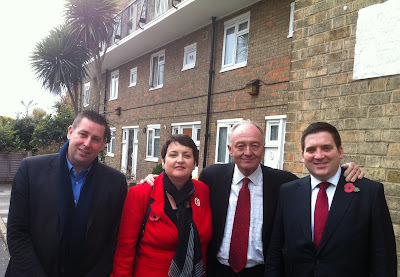 Ken Livingstone was given a warm reception when he came to Hammersmith and Fulham last Monday. 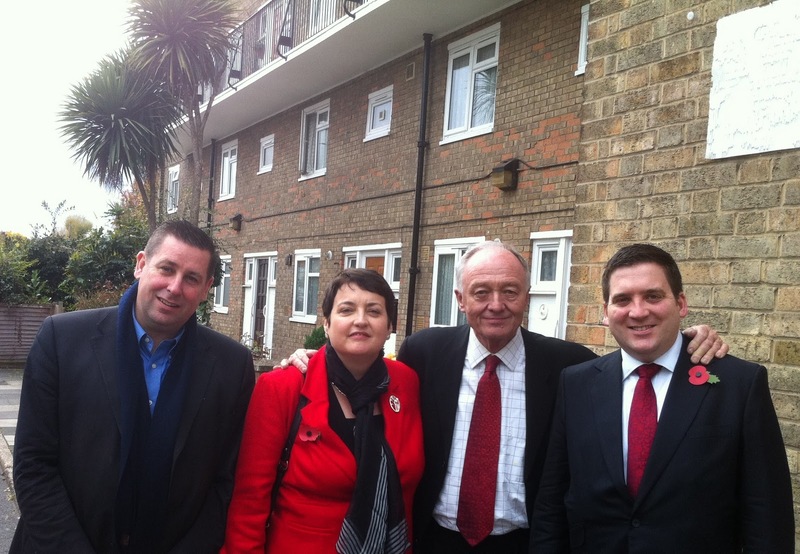 He was accompanied by Val Shawcross AM and Todd Foreman, Labour’s GLA candidate for West Central. All were here for what turned out to be a busy and enjoyable “Tell Ken” day - which he is running for each London Borough up until the election. More affordable housing to buy and to rent. The London Mayor’s powers are limited compared to the Mayor of New York or other world cities. However, the critical areas of policing, transport and affordable housing all fall within its remit. Ken Livingstone had a genuinely excellent record in all three areas last time he was London's Mayor. One that starkly contrasts with the current Conservative incumbent’s police cuts, record fare hikes and risible numbers of affordable homes. Ken met representatives of Save Our Riverfront. They told him how they had lost all confidence in H&F Council’s approach to planning, having witnessed the goings-on over the recent Fulham Reach development. One resident told how there is a need for family sized housing in our Borough but the Council had granted permission for “Japanese style micro-flats” which were likely to be bought by wealthy overseas investors looking for a temporary London pad. After that we visited a local collage. A loud cheer went up from the two hundred or so young men and women who waited in the auditorium to ask questions. All of them would have been too young to vote last time but they asked Ken about everything from the government's cut to their Education Maintenance Allowance (EMA) to their fears for their security and wishes for safer streets. Later we walked down the North End Road market. Traders and shoppers stopped to shake Ken's hand and chat. I think he was genuinely shocked to learn that H&F Conservatives also plan to move the market from its historic site – with many fearing it would be much smaller or even lost altogether. The day finished with an open public meeting in St. Augustine’s Church. Ken talked passionately about how he world put extra police onto London’s streets. He told how he had met an investment banker on a salary of £70,000 a year but even she couldn’t get an affordable home. He said he believed there was a housing crisis and one he wanted to begin to fix. He told how he would cut fares and try to make a difference so that the vast majority of Londoners saw an improvement in their quality of life. Shut down homeless charities, tightened homeless acceptance criteria and has been found guilty of maladministration on desperately sad homeless cases a total of THREE times. They even forbad Crisis and the BBC from running a Christmas homeless shelter describing Crisis' clients as "a law and order issue"
Blighting Hammersmith’s riverfront with £35m of unnecessary offices and tower blocks for decades to come. Ken highlighted the similarities between Shirley Porter’s disgraced Conservative Administration in Westminster to the approach taken by the Conservatives running Hammersmith and Fulham. Those young Tories feigning offence would be wise to check out those similarities for themselves before giving unquestioning support to their Administration's truly atrocious policies. 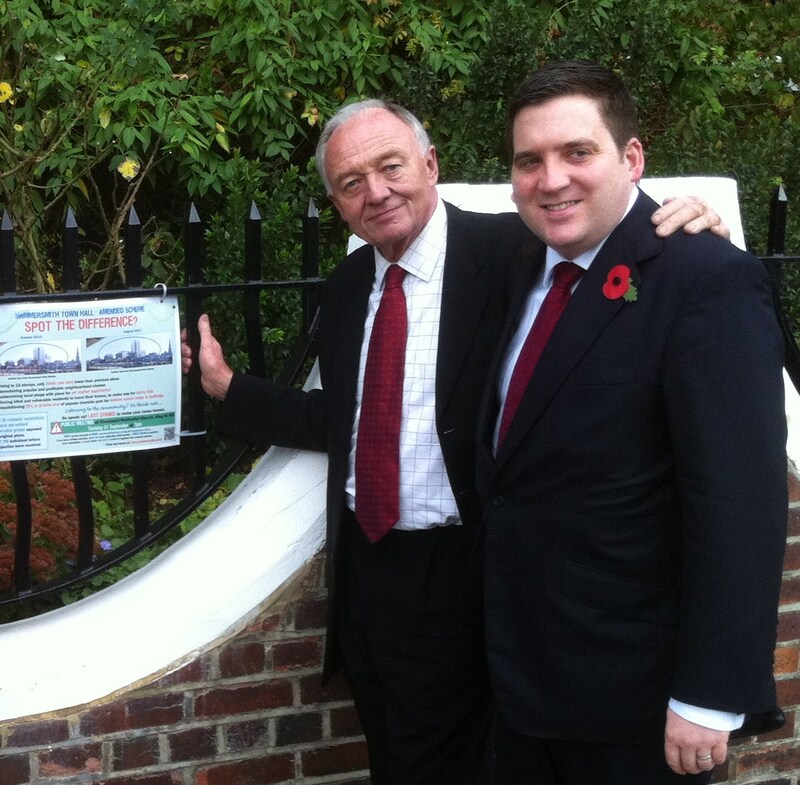 The next Mayoral elections are about issues: issues that matter and which Ken Livingstone will improve for the better should he win in six months time. I hope he does win. It would make a positive difference to the lives of millions of of people across our great city.